The IBM® 3592 tape cartridges are designed to help enterprise data centers satisfy increasing demands for data retention, security and availability while working with reduced budgets. IBM 3592 tape cartridges support media re-use by enabling the drive to reformat and upgrade prior generation media cartridges. That means existing media cartridges achieve both improved performance and capacity which helps you mitigate the impact of a tape subsystem upgrade. 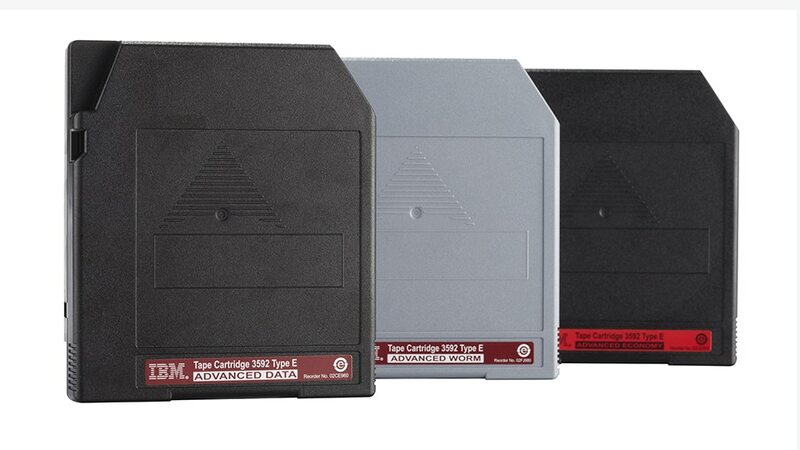 Improve performance and capacity with media re-use and up-formatting to enable the drive to reformat and upgrade prior generation media cartridges, reducing the impact of a tape subsystem upgrade. Gain rapid data access and lower media costs with the economy cartridge, offering the same quality as our standard length cartridges, but in a shorter, less expensive length, with faster seek times.